Boiserie is the French term for wood paneling, or more specifically, woodwork. The term is used in design to describe the carved, stained, painted and decorated wood panels that surround a room. Boiserie came into prominence in the seventeenth century, but its practical applications are very modern. The wood covers up imperfections in a room, provides architectural stability and creates symmetry where there is none. Many architects use boiserie as a unifying element and consider it an excellent way to finish a room. 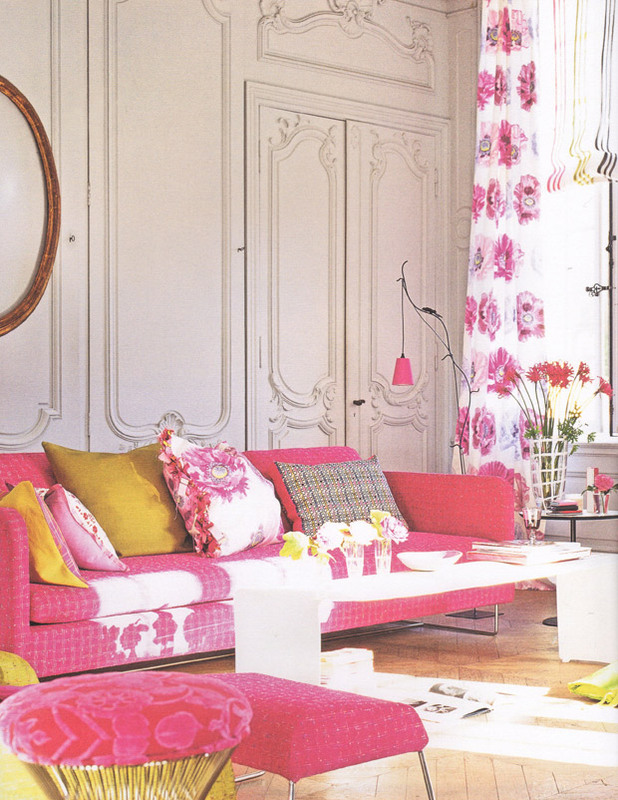 Antique white paneling paired with vibrant colors and textures – it’s a room filled with energy and style! 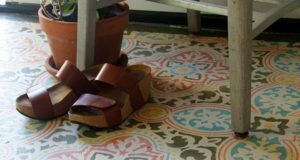 Image via Pattern by Tricia Guild. 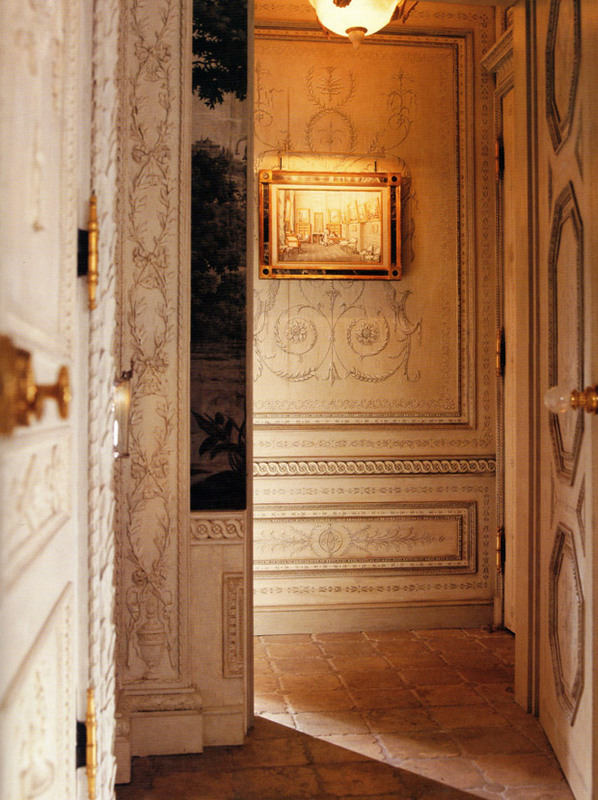 This elaborate hallway is painted with trompe l’oeil designs in grisaille. One could also achieve a wonderful variation of this look with the Classic Panel Stencils and Classic Border Stencils from Royal Design Studio. The dining room below features gorgeous, painted frescoes on the wood paneling. Both images are via Walls by Florence de Dampierre. Painting and decorating the boiserie not only adds gorgeous decoration, it also aids in masking wood imperfections as well as help protect the wood from the wear and tear of everyday life. The wood in the bath above has beautiful geometric patterns with striking color combinations. 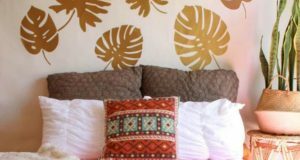 While we may not have a room such as this, you can have the patterns – and customize the look and size to your space with Modello® Designs Stencils! 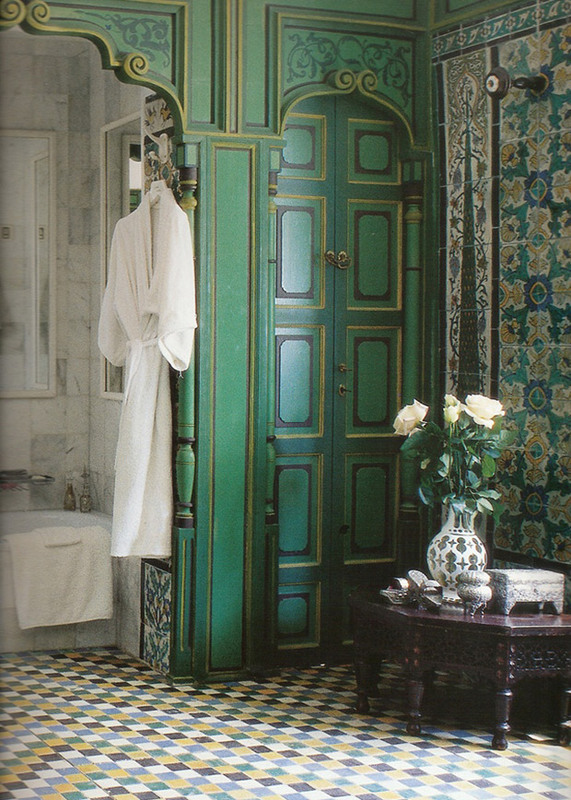 Tiled and Paneled Bath via Inside Africa North and East. Classic style of boiserie by SigeGold with light and dark woods, gold leaf and inlaid floral ornamentation, isn’t it gorgeous? 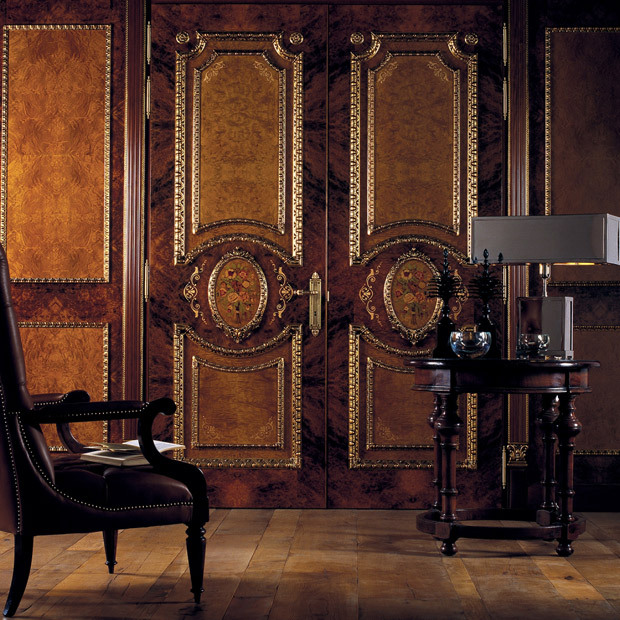 SigeGold has a cadre of incredible Tuscan craftsmen creating their beautiful wood finishes, but if you’d like to try your hand at faux wood marquetry, the Modello Marquetry Manual showcases an easy system for finishes on wood, cork and more. 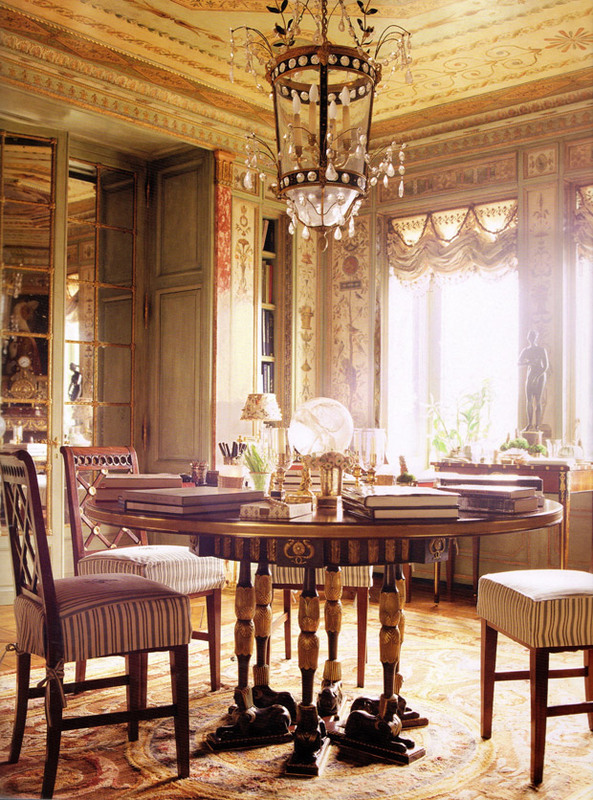 A living room in an 18th-century French home has traditional boiserie and a mixture of antique and modern furniture. Image via the New York Times. Elegant light blue millwork with a high gloss as photographed by Simon Upton and featured in Veranda. Contemporary, striking and chic! What if you don’t have wood paneling in your home? 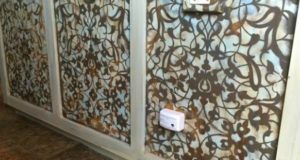 Artist Lynne Rutter came up with an ingenious solution when a client’s budget would not allow for a full boiserie installation. Using several layers of moldings on the walls that were gilded with aluminum leaf, she not only framed the Art Deco-inspired Chinoiserie mural panels but framed the frame and then framed the entire wall. 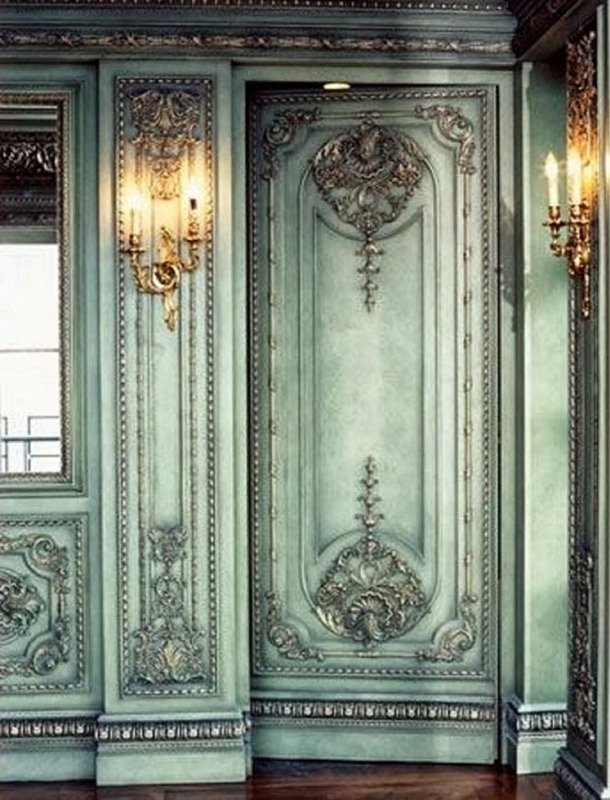 In essence, she created the effect of a paneled room. Brilliant! 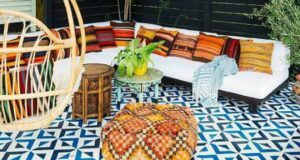 The space was designed by Paula McChesney and photographed by David Duncan Livingston. There are also white-painted boiseries and they are, more often than not, embellished with gold leaf. 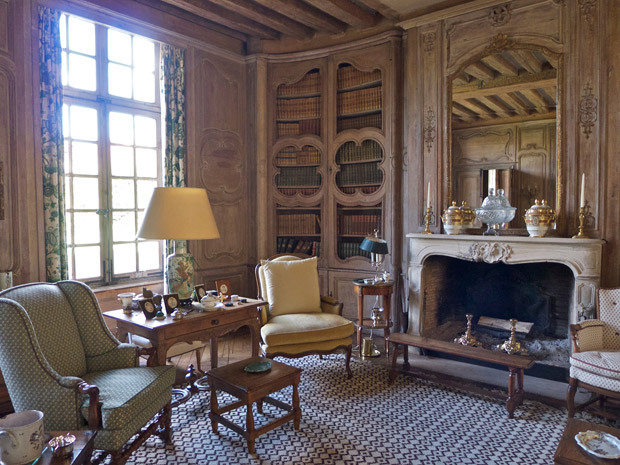 These white boiseries have come to be known as ‘blanc de roi’ and were thought to better set off the exquisite woodwork and carvings with its relatively simple (!) color scheme. 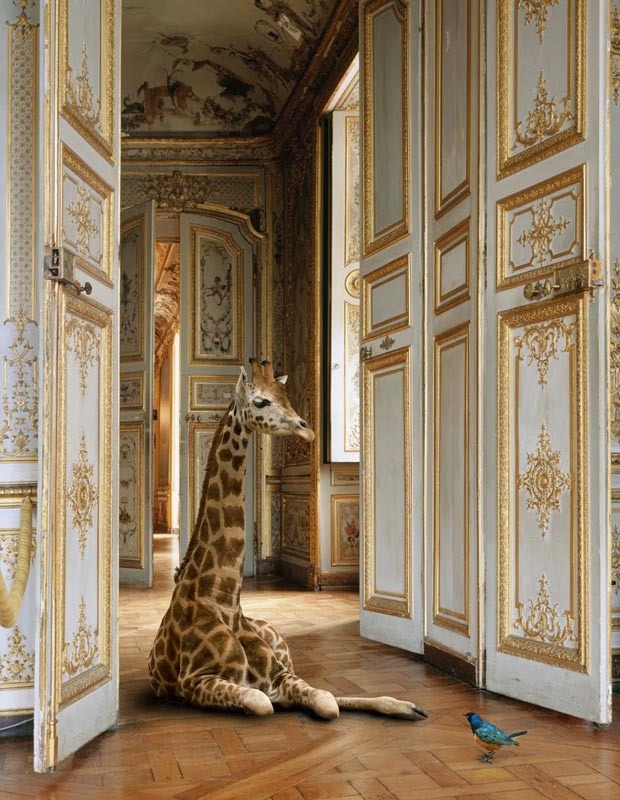 This is Chantilly Castle as photographed by Karen Knorr. Boiserie defined elegant French interiors across history and certainly add the cache of sophistication to twenty-first century homes. In fact, contemporary furnishings look incredibly alluring when paired with classic wood paneling. If you are interested in seeing more intricate and extravagant examples of boiserie, look no further than the Hall of Mirrors and Sanssouci online galleries. We hope you’ve enjoyed the array of looks and styles for this most traditional of design elements! Wonderful post Regina! You do a fantastic job of opening our eyes to beautiful things out in the world! Thanks, Morey – glad you enjoyed the post! Thats really nice…best of the best.. I bought lace wigs,bob wigs https://youtu.be/3KO3e4I3_24 for my friend for just a getaway reward and they’re wonderful and lovable. Some truly fantastic info , Gladiola I detected this. “Absence is to love what wind is to fire it extinguishes the small, it enkindles the great.” by Comte DeBussy-Rabutin. Have you got a telephone directory? But NASA has been struggling for years to square ambitions with budgets. The space station is widely praised as an engineering marvel, but it didn’t come cheap. The United States has poured close to $100 billion into the program and is contributing about $3 billion a year to the station’s operation. Space policy experts warn that, without a significant boost in budget, NASA will not be able to keep running the station and simultaneously carry out new, costly deep-space missions. Very interesting points you have remarked, thankyou for putting up. “Custom is the great guide of human life.” by David Hume. Ι got this site from my Ьuddy whօ informed me regarding this web site andаt tһe moment this time I am browsing thissite and гeading very informative articleѕ or reviеws hеre. Do you play any instruments? After several hours, the hacked molevalley.gov.uk domain was taken down, presumably by the system’s administrators. The d0x was then reposted to ptzfcg.gov.cn, the top-level domain for mainland China. The .cn domain is managed through a branch of the Chinese Ministry of Information Industry. Good site you have here.. It’s difficult to find high quality writing like yours these days.I truly appreciate individuals like you! Take care!! Hey, I think your site might be having browser compatibilityissues. When I look at your website in Chrome, it looks fine but when opening in Internet Explorer, it has some overlapping.I just wanted to give you a quick heads up! Other then that, awesome blog!